Danskompaniet Spinn’s education for young dancers SpinnVäxa & SpinnUnga are now ending the three-year project that was financed by Allmänna Arvsfonden and Studieförbundet Bilda, and continuing as Spinn’s educational branch in the shape of the non-profit organization that goes by the name of DANSUTBILDNINGEN SPRÅNG! 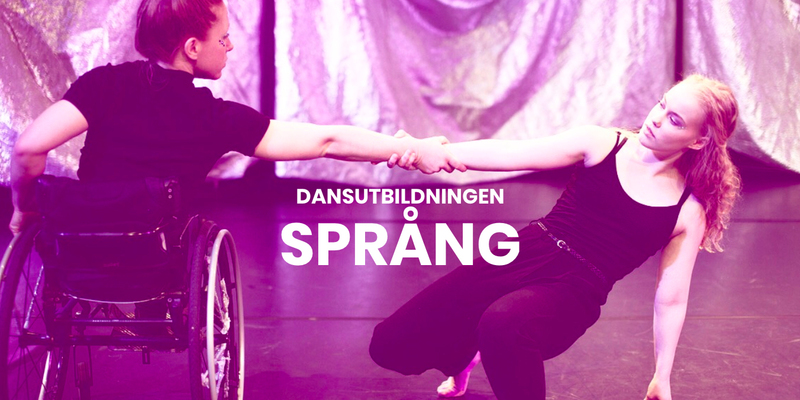 Please share SPRÅNG’s posts on social media and let your friends know about what they do. The more attention this organization gets, the more we can challenge norms and stereotypes, affect the image of normality and widen the idea of who’s allowed to take place and be seen and heard!